Feast your eyes on these colors! I’ve been raving all about it on my Instagram stories (follow me here), because the colors are just fantastic! I love love neutrals especially for accessories, but I could not pass this up. 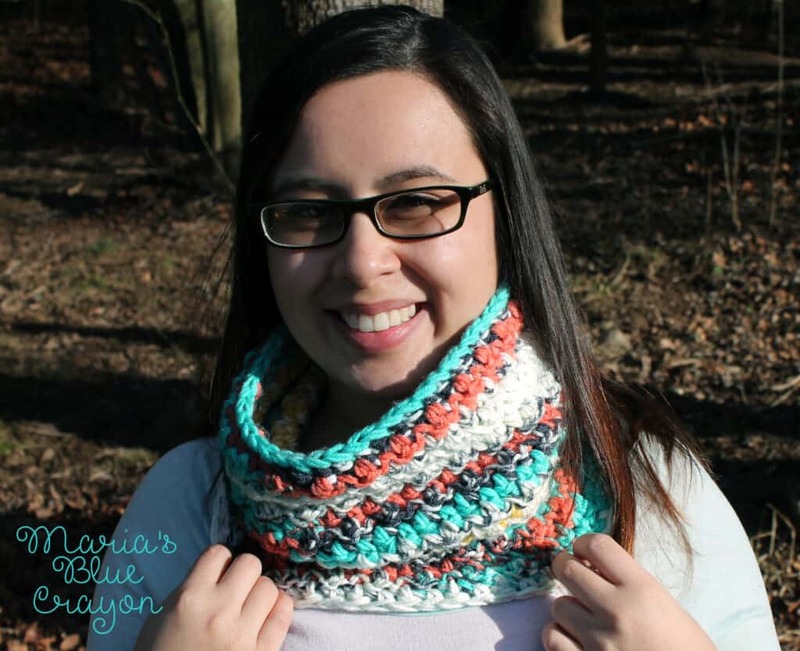 Good news is, the yarn does all the work for you to get this gorgeous color pattern! I’m a huge fan of “I Love This Yarn!” (sold exclusively at Hobby Lobby), so I already knew it was a yarn I wanted to work with. Do you see that subtle texture? 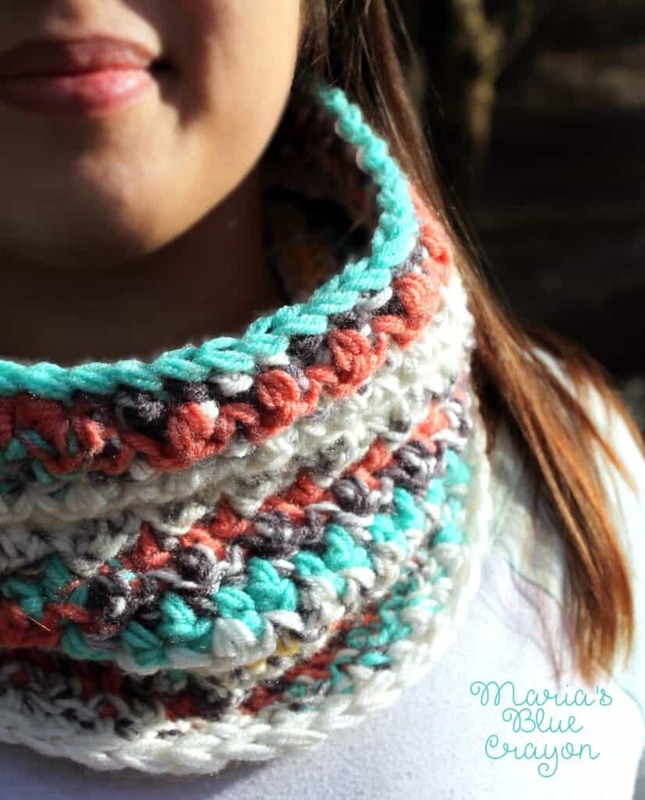 So much going on in this cowl, and so super easy to make. I wanted to give it lots of depth, so on top of using a textured stitch and variegated yarn, I also used two strands together to make it chunky. Besides, we all know how fast chunky yarns work up, so that’s always a plus! If you make anything for yourself this Winter, make this because it’s the bomb dot com. 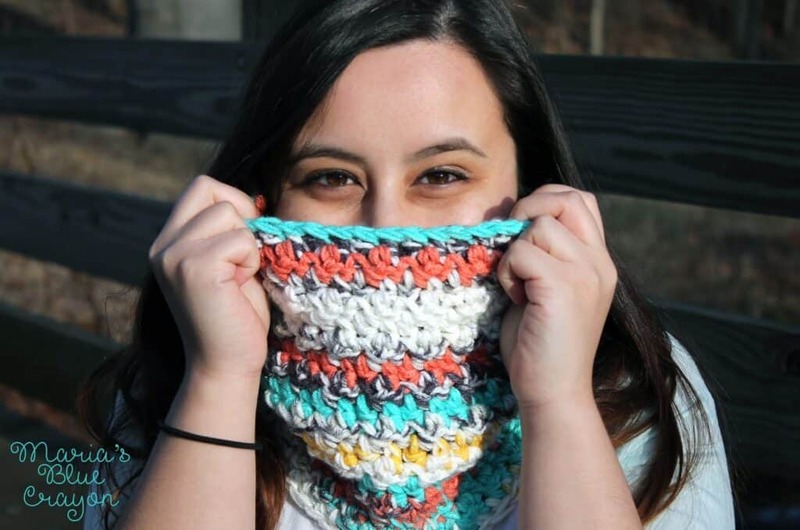 I was in 30 degree weather to take these photos and I didn’t bat an eyelash.. this cowl kept me so warm! This pattern will be worked in rounds, but we will also be turning our work after each round. 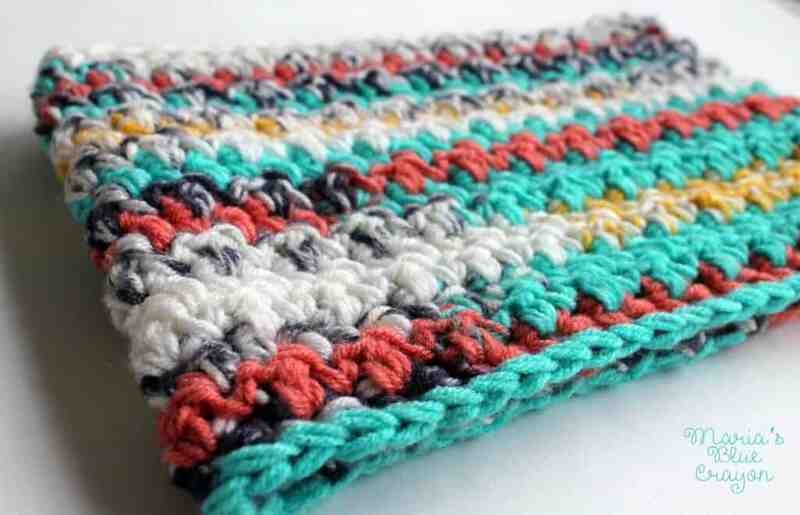 Before you start crocheting, make sure the two skeins of yarn start with the same color. I had to trim some off before starting – hold two strands together while working this pattern. NOTE: After each row, you should end with a SC. See how easy this is?! Also, I made this to fit my person, if you would like a wider circumference, simply add to the beginning chain in multiples of 2. Add as many rows as you’d like. If you have any questions, don’t hesitate to contact me or leave a comment below! this gorgeous little cowl. Keep them coming….lovely!